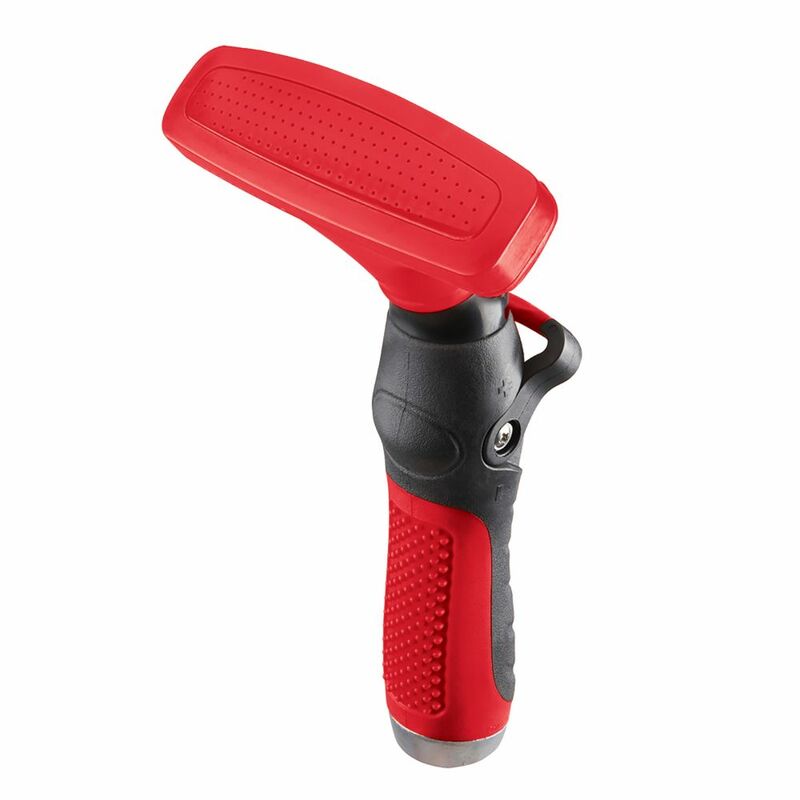 Thumb Control Fan Spray Nozzle in Red Thumb control fan spray nozzle. Ergonomically designed thumb control fan spray nozzle. Spray head delivers a precise , gentle watering pattern. Constructed of a high impact materials will not rust or corrode.